Before you say it, I know what you’re thinking: “But Craig, bananas are definitely not allowed on a ketogenic diet!” Don’t worry guys, we’re using banana flavored extract to impart some flavor into our smoothie – no real bananas needed! This one does thicken up slightly more than the others because of the addition of flax and chia seeds, but I think it gives a great hearty mouthfeel that is perfect for breakfast replacements. 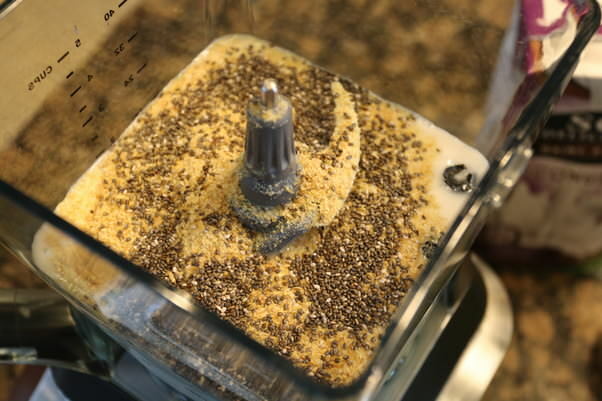 You have two options when putting the chia seeds in: you can either let the blender deal with them and give them a slight chop, or you can completely pre-grind the chia seeds using a spice grinder and then dump them in afterward. 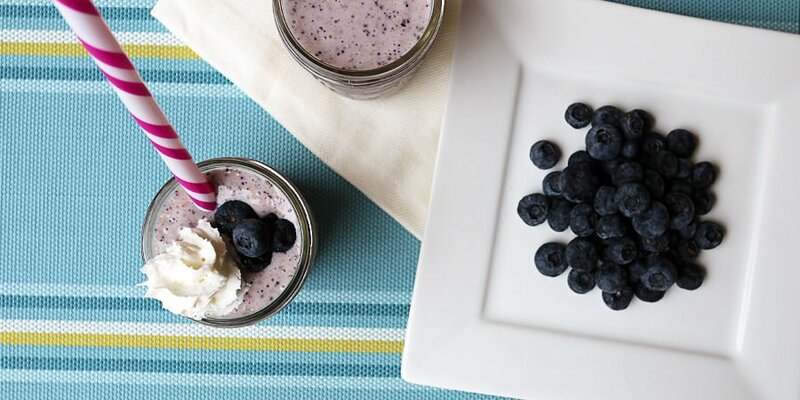 I don’t mind the little pieces of chia, especially if you leave the smoothie for 10-15 minutes prior to drinking. The chia soaks up some of the liquid and gets a slightly resembling consistency to bubble tea. 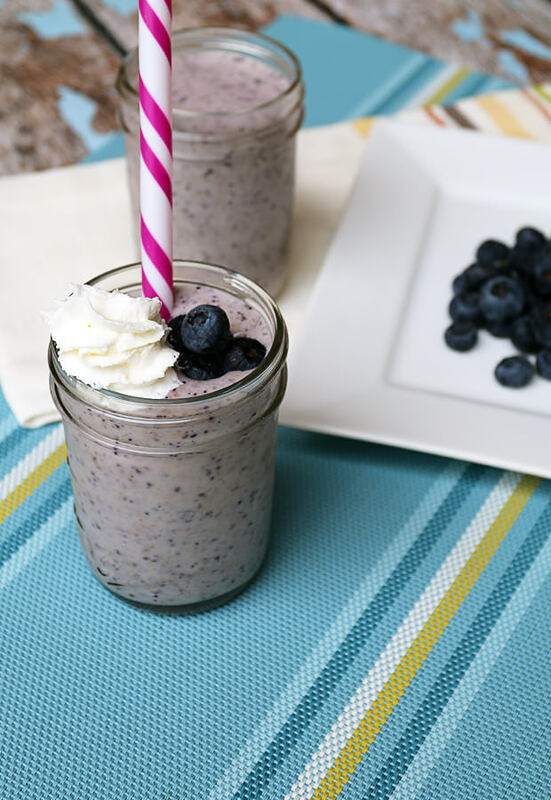 What kind of smoothie would you make with your favorite extracts? Let us know in the comments below! 1. 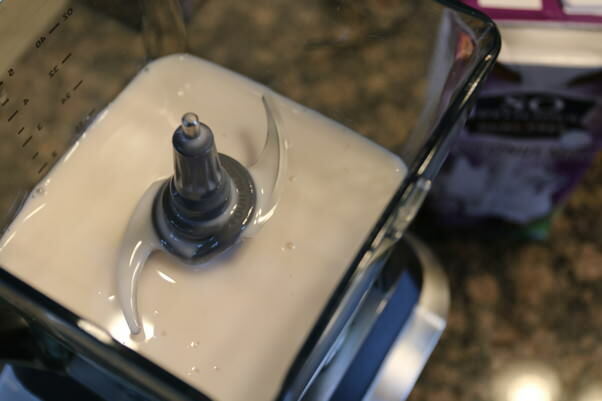 Put 2 cups of unsweetened vanilla coconut milk (from the carton) into a blender with 7 ice cubes, 1 1/2 tsp. Banana Extract, and 10 drops liquid stevia. I’m using a Ninja Blender with Mini Ninja attachment. 2. 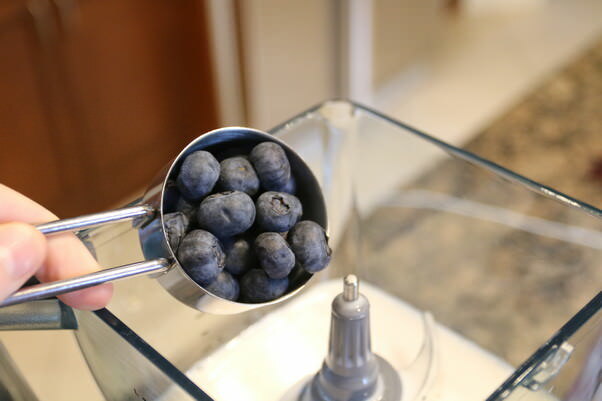 Add in 1/4 cup blueberries. 3. Measure out 3 tbsp. 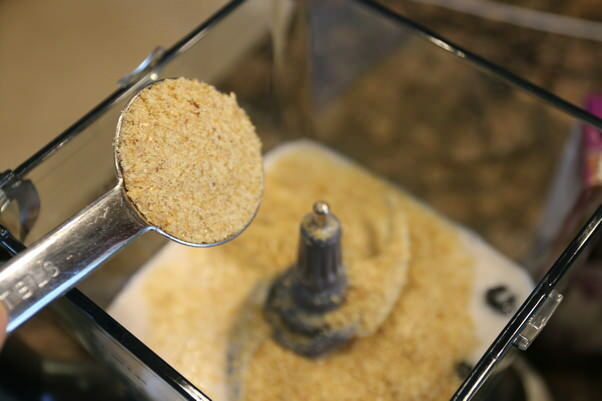 Golden Flaxseed Meal and add it into the mixture. 4. Measure 1 tbsp. chia seeds and also add in it. I like to wait for a few minutes before I blend – then blend for 1-2 minutes or until all ingredients are fully incorporated. 5. Measure out into servings and enjoy! 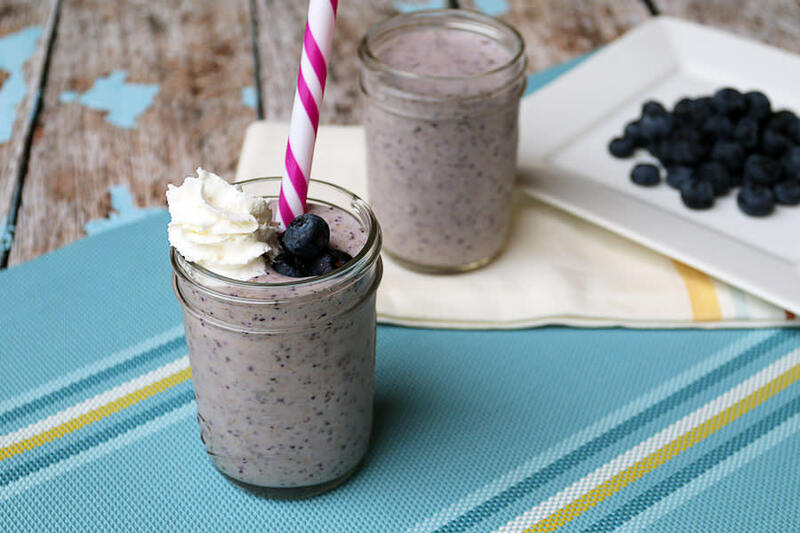 This makes 2 total servings of Blueberry Banana Bread Shake. Per serving, this comes out to be 270 Calories, 23.31g Fats, 4.66g Net Carbs, and 3.13g Protein. I prefer to wait a few minutes so that the flax and chia seeds have enough time to soak up some of the moisture.